Hard to believe that fall has arrived. I’ve got the windows closed and the A/C blowing while the temperature outside is in the mid-90s. 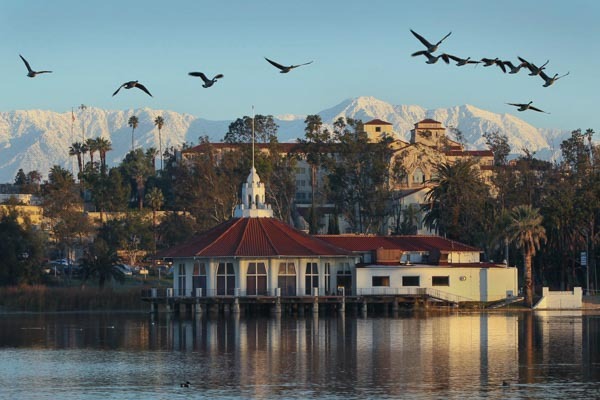 The change of seasons this time of year always reminds me of Canada Geese flying south for the winter, as seen here in a photo taken early one January morning, with snow on the San Gabriel Mountains in the distance. The days are becoming noticeably shorter and the shadows have become longer. I’m looking forward to the clearer skies and more comfortable daytime temperatures that we enjoy much of the year in the Inland Empire.